High security commercial sites requiring large aperture coverage, and improved insulation properties from the shutter. Ideal for rapid rise / fast action opening and closing when in conjunction with frequency inverter motor and appropriate sensory peripherals. 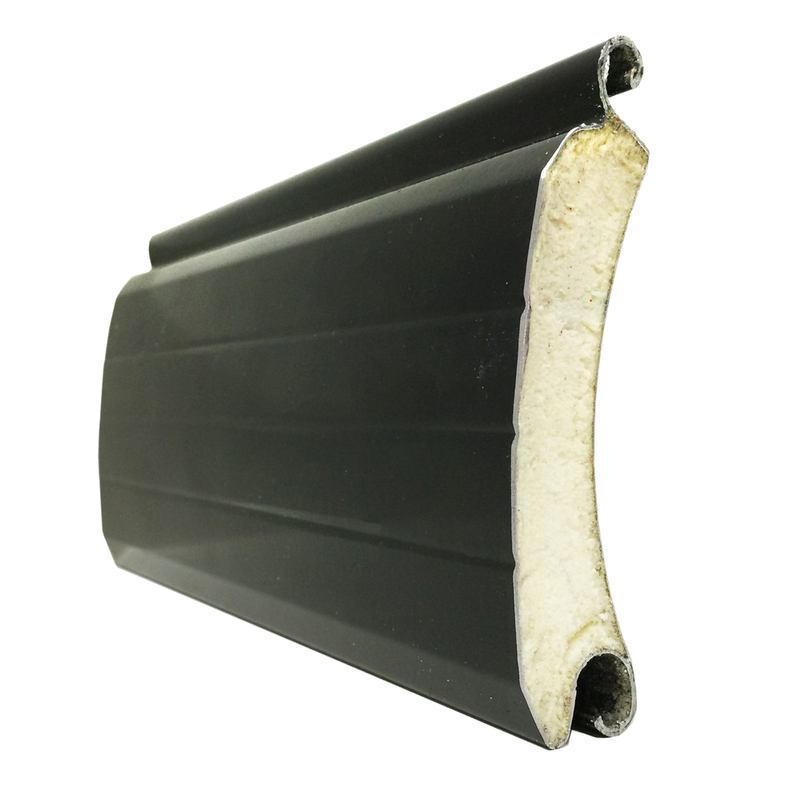 Double skinned polyester powder coated 95mm steel slat with polyurethane foam insulating core. Colour: Galvanised finish as standard. Option to powder coat any RAL / BS colour or Polycoat laminated finish (surcharges apply). View our stocked powder coating colours here and our Polycoat range here. Manufactured from 0.9mm galvanised steel sheet. End caps are fabricated from 3mm - 12mm steel. Aluminium powder coated bottom slat with EPDM weather seal. Guide channel depth is 80mm as standard. Electric: Single phase tubular motor with internal rocker switch or external key switch as standard, or three-phase motor with push button control station as standard. Motors can be direct drive, inboard or outboard design. Numerous control options including group, remote, timed closure or mobile phone activation. Manual override facility as required (surcharge applies).